In this special issue of the New Educator, we take advantage of our 50th anniversary to reflect on and celebrate our past. In a short history of the college to be published early in 2002, we recount the earliest beginnings of the college’s programs, as well as the institution’s progress from 1952 to the present. In the following pages, we excerpt one of the book’s chapters on Clifford Erickson and the 1950s. We also include a timeline highlighting some of the important and memorable events as they relate to the development of the College of Education. There is also a feature that we call Spartan Families, profiling a handful of families whose ties to the college and MSU certainly run deep. It is in a spirit of celebration and reflection that we recount the history of the College of Education in this issue and in the forthcoming book. (If you would like to order a book, call (517) 355-1826.) 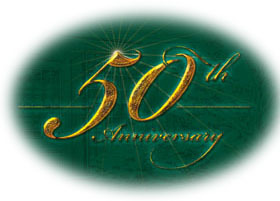 It is our sincere hope that you as alumnus, friend, or emeritus faculty member will enjoy reading about the history of the College of Education and that you will reconnect with your college on its golden anniversary.